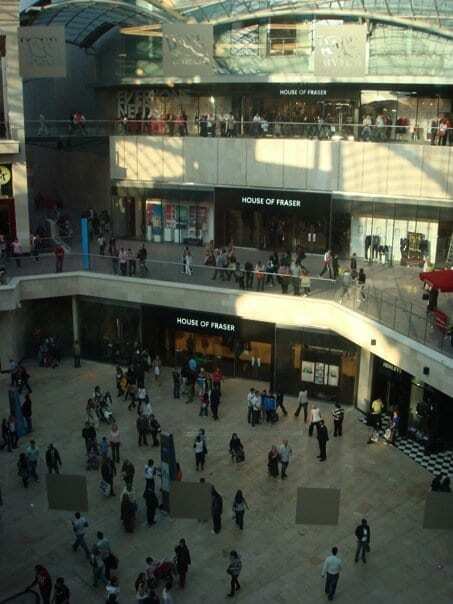 As mentioned in yesterdays post, we went to Cabot Circus for the first time last week. Considering that it opened on Thursday, and we went on Saturday, I don’t think it was that busy. It may be because the Circus is open till 8pm most nights, or that there are so many shops that people are quite spread out, but it only seemed quite busy during the main part of the day. The other department store in CC is Harvey Nicks, which is actually pretty small. They do have some beautiful things in there though, expensive but beautiful. One of the busiest places however seemed to be Yo! 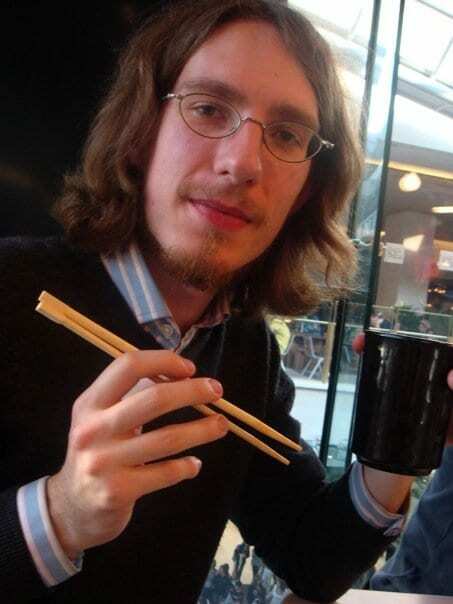 Sushi! The queue at lunch time was out the door and onto the bridge. We were going to go to Obento on Baldwin Street but by the time we got there, they had been shut for 10 minutes! We headed back to Yo! 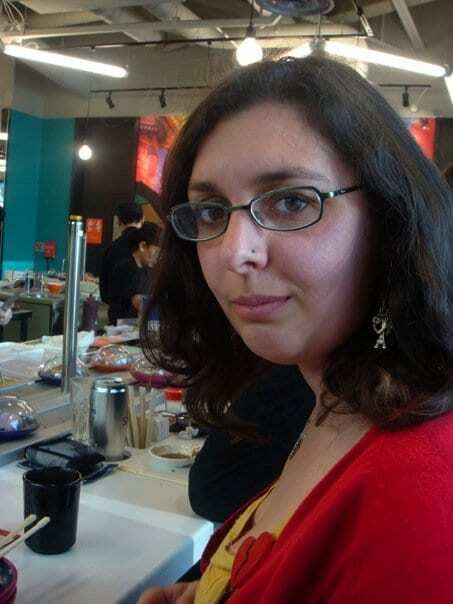 Sushi and managed to be seated pretty much as soon as we walked in. Here is Julian, expressing his glee that he now lives near a largeish city where you can actually buy things without having to travel for hundreds of miles. And here is Ally, who wasn’t sure of many of the items, but said “That Looks Interesting” to the next item. Lesson to self: never never eat something someone says looks interesting. 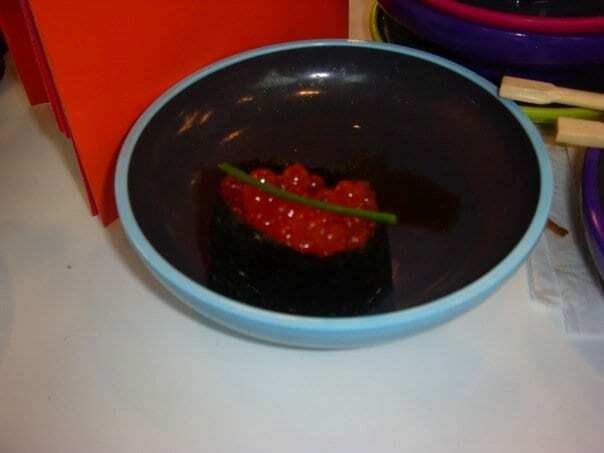 That is Ikura, which is salmon roe and chive, with rice and seaweed stuff. By the way, roe is FISH EGGS. I have learnt I do not like roe on its own. And I can just about tolerate it with the other stuff. 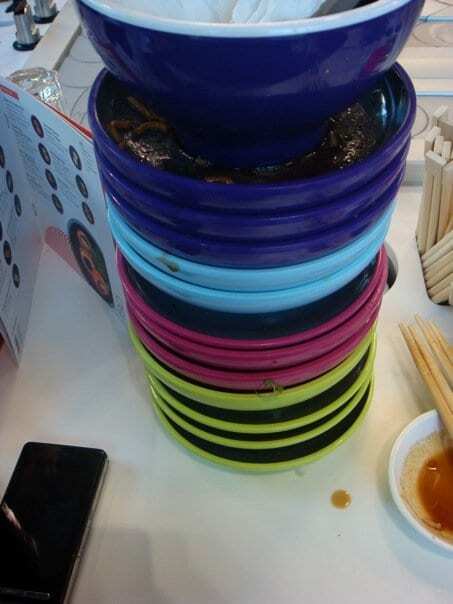 This was mostly Julian and I’s pile o plates, and my mess of soy sauce and wasabi. Mmm. Before (and after!) the food, we went pretty clothes shopping. 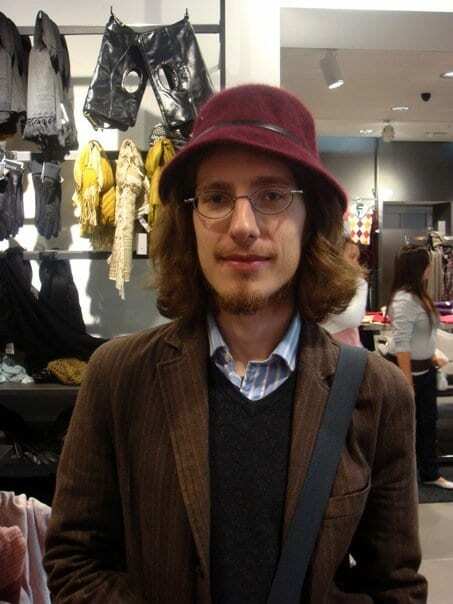 Look at Julian in a pretty little hat! 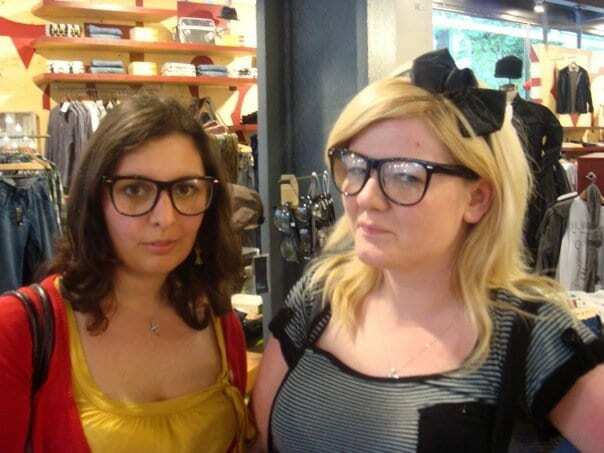 And here is Ally and I looking like hipsters in Urban Outfitters. She says she actually had some of these glasses years ago, before they were cool. So there UO, Ally is cooler than you. If only this cup was real. 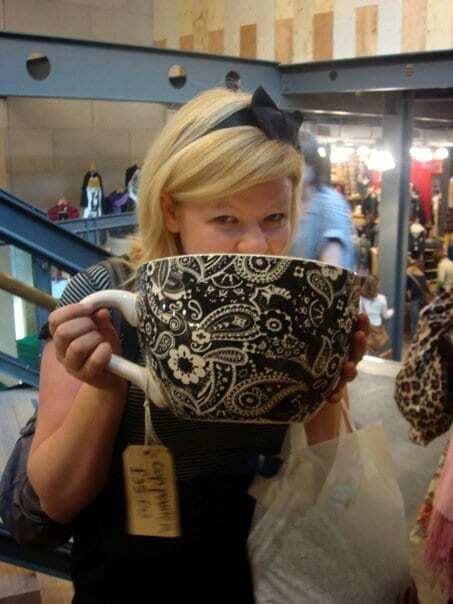 Sadly, its a planter which is a waste of a giant cup you know.